When you’re buying a car, you often only consider the price that’s involved in terms of monthly payments. There’s nothing wrong with this at all, but the cost of the vehicle is more than the price you pay to own it. You have to consider the cost of insurance, registration, and maintenance. These costs are all part of the overall picture you’ll have for the vehicle you want to drive. If you want to keep your costs down and have a vehicle that’s less expensive to maintain, you need to consider one of the vehicles on this list. Over the course of ten years, you’ll pay an average of $6,400 to maintain the Kia Optima. This is low enough to make this car the tenth most affordable to maintain over that course of time. 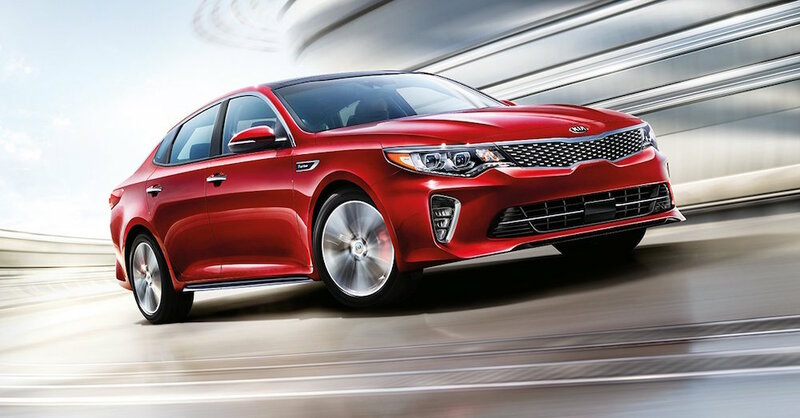 As one of the most attractive, affordable, and easy to drive sedans on the market, the Optima could be the right choice for you when you want to pay less for the benefit of the drive. Even though you’re not going to find these models as new ones on the market any longer, you can find one that’s only a few years old and have an affordable maintenance program. You’ll pay as little as $6,400 for the maintenance costs for this small hatchback over the ten years that you might own it. This puts the Scion xB in the ninth spot on this list. This little Toyota model is one that shows up in the eighth spot on the list with an average maintenance cost for the ten years at $6,100. Even so, this little model is one from this brand that’s actually pretty high on this list. You’ll love the size and the efficiency of this little car, but you might look for a different Toyota model to be the one that you’ll love to drive. Not only is this little car one that’s priced at the lowest level on the market, it’s also one that’s affordable to maintain. The cost you’ll find for the ten years of ownership of this car is an average of $5,900 to be an affordable choice that makes a lot of sense for you to have the drive and the price you’re looking for. As one of the best-selling cars on the market in the history of the automotive industry, this car is also one that’s affordable to maintain. Showing up in the sixth spot on the list, the Corolla will cost you around $5,800 for the ten years to maintain it. This makes the Corolla an excellent choice and one that’s actually easy to drive and one that you can afford. When you’re looking for a pickup truck, you often have to pay more for the maintenance than you do for a car. The Tacoma is one of the only trucks on the market that changes this narrative and makes it possible for you to have an affordable choice. The average cost for the ten years of maintenance of the Tacoma is $5,800, making it one of the most affordable you can drive. The Honda Fit is the only car that makes the top ten as one of the most affordable to maintain from Honda. Even though the Civic and Accord aren’t too far behind in the 14th and 15th places on the list, this little hatchback is the most affordable Honda to maintain and shows up at the fourth spot on the list with a ten-year cost to maintain of $5,500. The affordable midsize sedan that you love to drive is the one that makes its way into the third place on the list of most affordable cars to maintain. For the Camry, you’ll be able to own the car for ten years and pay around $5,200 to maintain it during that entire time. That makes this one of the most affordable choices you can have when you’re looking for easy and affordable maintenance. Coming in as the runner-up on the list, this little Kia is one of the cheapest cars to maintain over ten years. You’ll pay around $4,700 to maintain this car and be able to enjoy the ride for a long time. IF you’re looking for a fun, funky, and affordable car to drive, you’ll have a hard time beating the Kia Soul for what you want. The cheapest car to maintain over ten years is the Toyota Prius. This shouldn’t be much of a surprise at all as this car is the most popular hybrid model on the market. The cost for the ten years of maintenance should be around $4,300, making this the top model on this list and one that can be the right choice for you to drive.